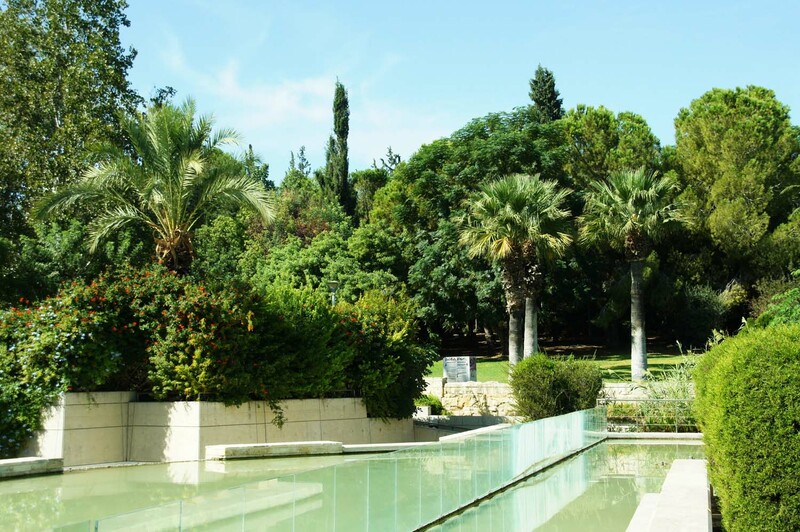 The biggest and best parks are those of Acropolis and Ayios Dimitrios which are one of a kind. 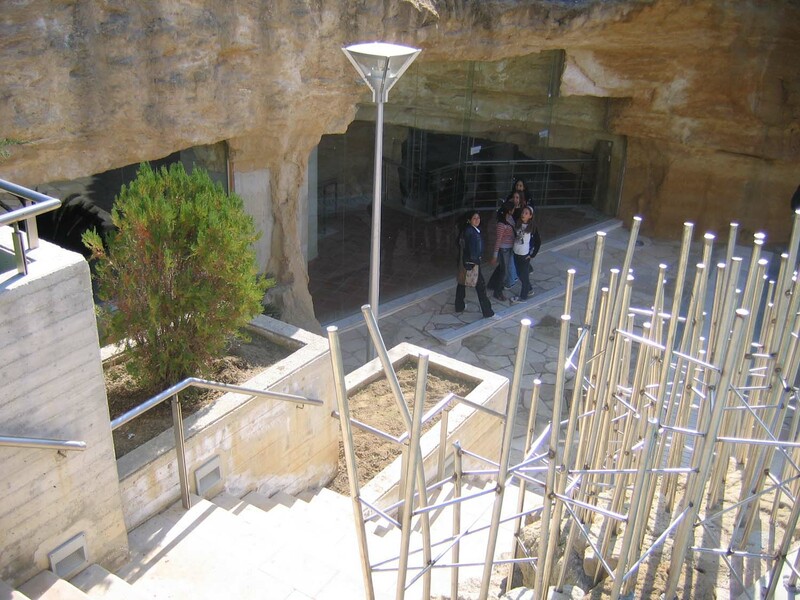 It is located in the Sarandaspiliou area in Acropolis, north of Athalassas Avenue. Entrances can be found at Pentelis Street, Mikinon Street, Panayioti Kaspi Street and Dasoupoleos Street, with parking spaces at the north and south sides. 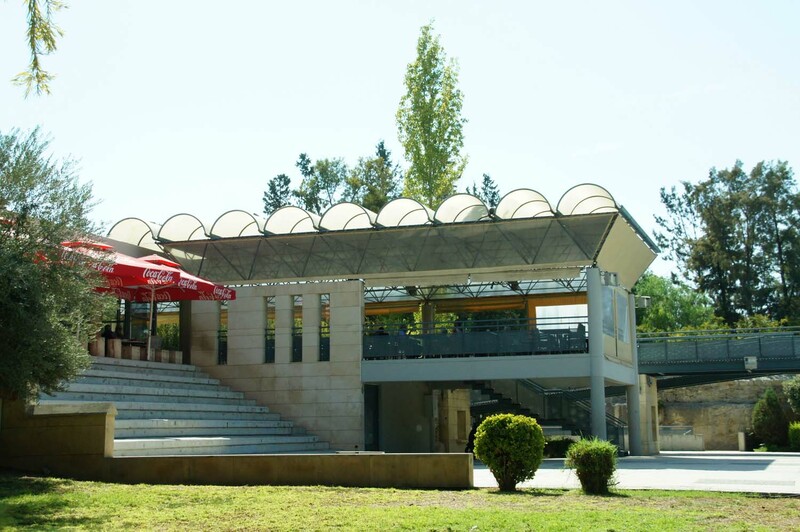 The park was designed and constructed by architects Ioakim and Loizias after an architectural competition. 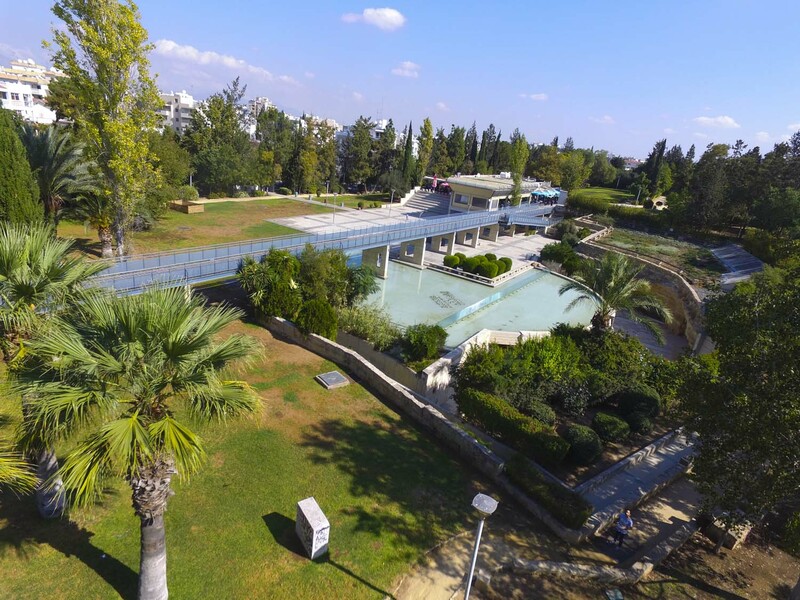 The total cost of building and equipping the park was 2.3 million Cyprus pounds, with the Cyprus Government covering the two-thirds of the cost and the remaining one third was covered by the Municipality of Strovolos. 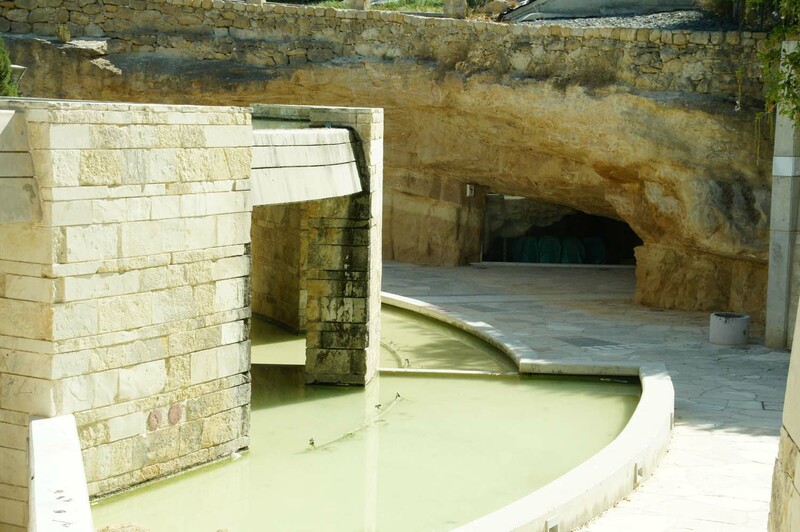 The park is an area of entertainment, and rest with an exquisite natural beauty including the natural caves. 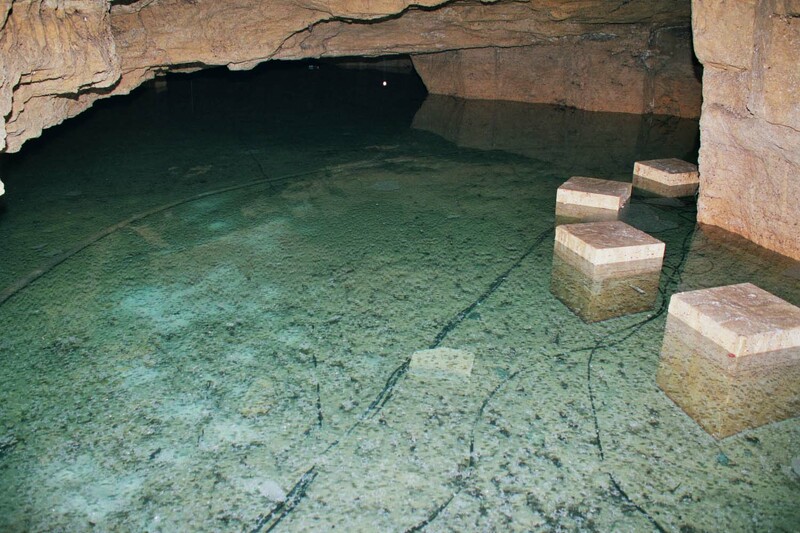 The caves have been brought out and developed and can be used for several events. The lake and the fountains, the large wooden bridge, the pedestrian pathways and the sitting areas all complete the beautiful scenery of the park. In the park there is a restaurant and a kiosk. There is also a playground, an area for sports activities, and a small amphitheatre for events. There are walking paths and seating areas where you can walk or rest under the shade of the trees. 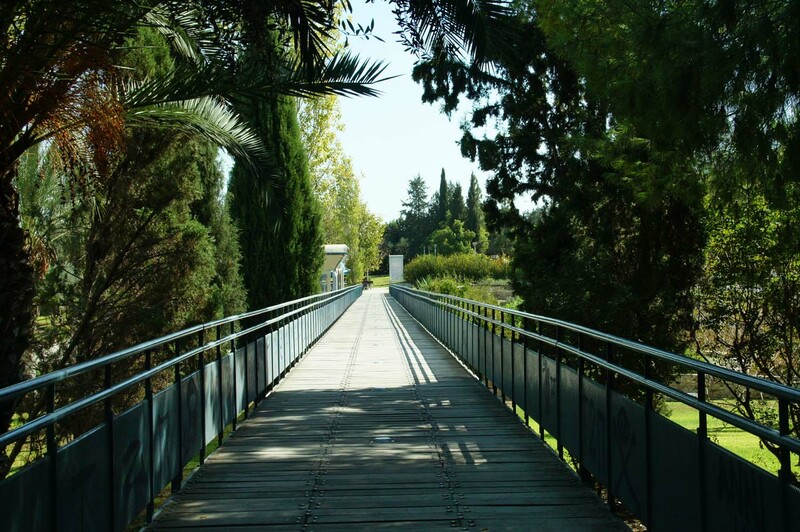 This park follows the direction of the Pedieos river and includes a footpath and a bicycle track of four kilometers that starts from the bridge of Chryseleousas Street (close to the Presidential palace) and ends at the border of Strovolos and Lakatamia Municipalities, where it has been linked to the corresponding linear park of Lakatamia Municipality. The construction of the pedestrian footpath and cycling track was completed in 2002. Throughout its length 14,000 trees can be found and shrubs and taps with drinking water have been installed. For the irrigation of the plants, five boreholes have been drilled and an automatic irrigation system has been installed. Lights have been installed throughout the length of the pathways, so it can be safely used in the evenings and early in the mornings. Biological-eco toilets have been installed as well. At the intersections of Elaionon, Alexandroupoleos and Ayia Marina Streets, appropriate traffic signaling has been installed. 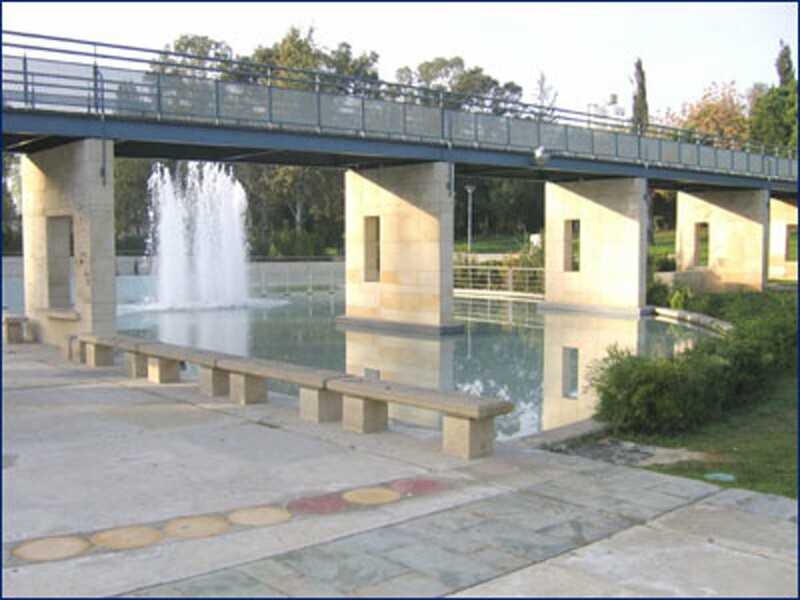 In 2007 the construction of two bridges has been completed, which link the old nucleus of Strovolos and the Archangelos area with the pedestrian footpath and the cycling track. 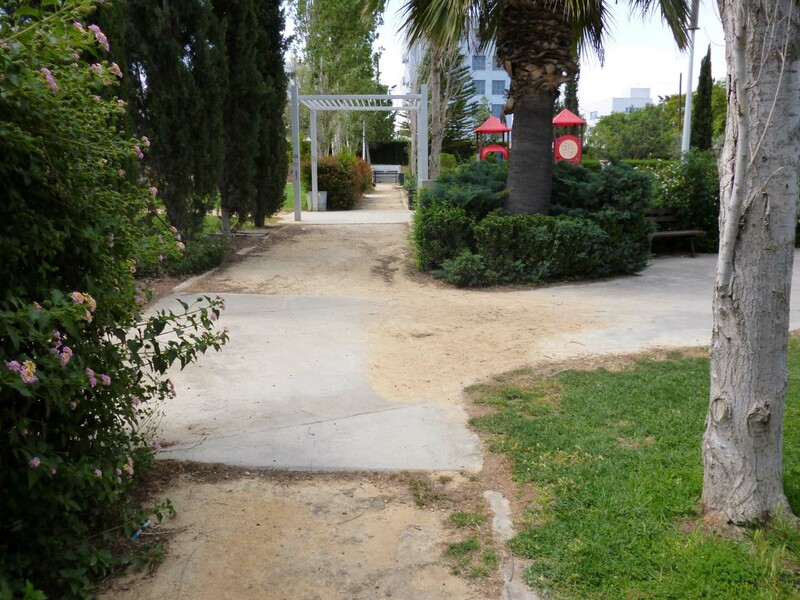 The largest park in Strovolos, Ayios Dimitrios Park, is located between the Makarios hospital and the English School, with entrances from Acropoleos Avenue, Koritsas Street and D. Liperti Street. In the two latter entrances there are also parking spaces. 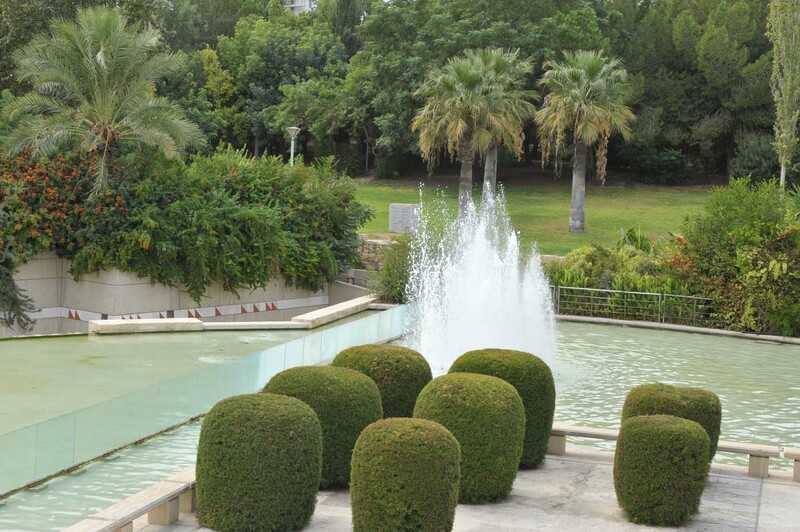 The park has a kiosk, a playground, walking paths, sitting areas, fountains, a small amphitheatre and lush vegetation. 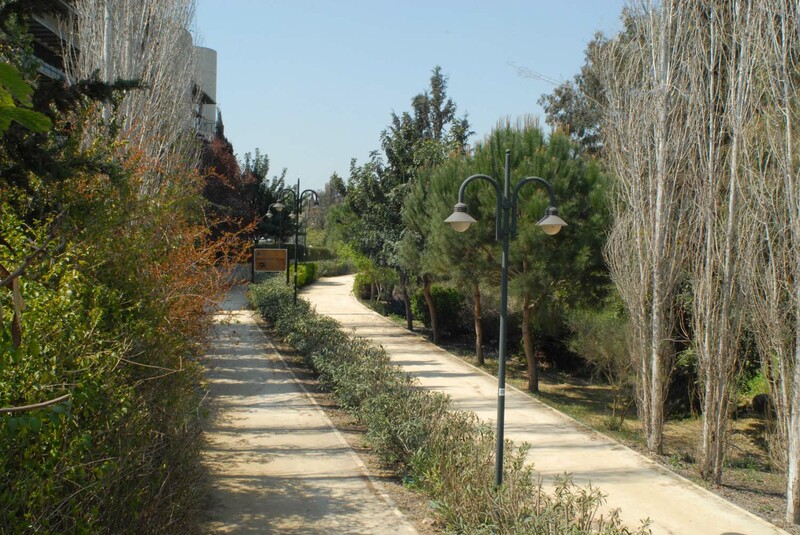 In the years 2003 – 2004 the construction of the kiosk, playground, northern parking lot, amphitheatre extension and walking path were completed. In 2007 the lighting of the park was completed. The playground has been constructed according to European safety standards. 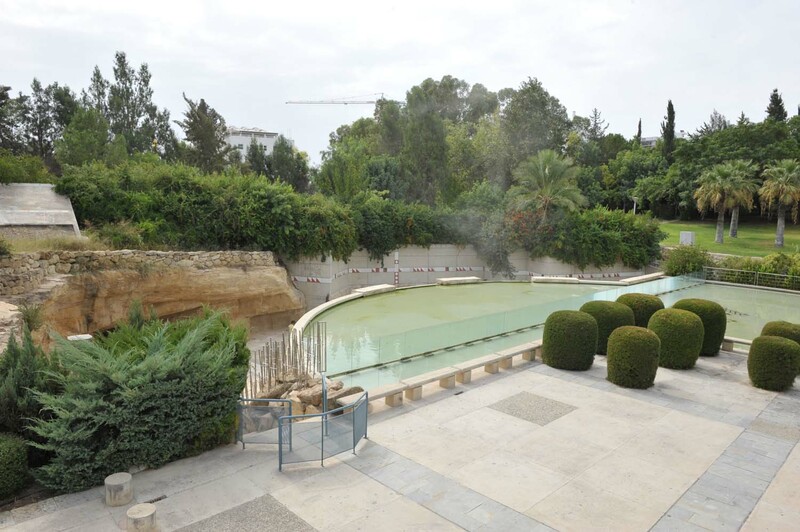 The total expenditure for the construction and equipment of the park was 1.2 million Cyprus pounds, with the government covering the 4/5 of the amount. 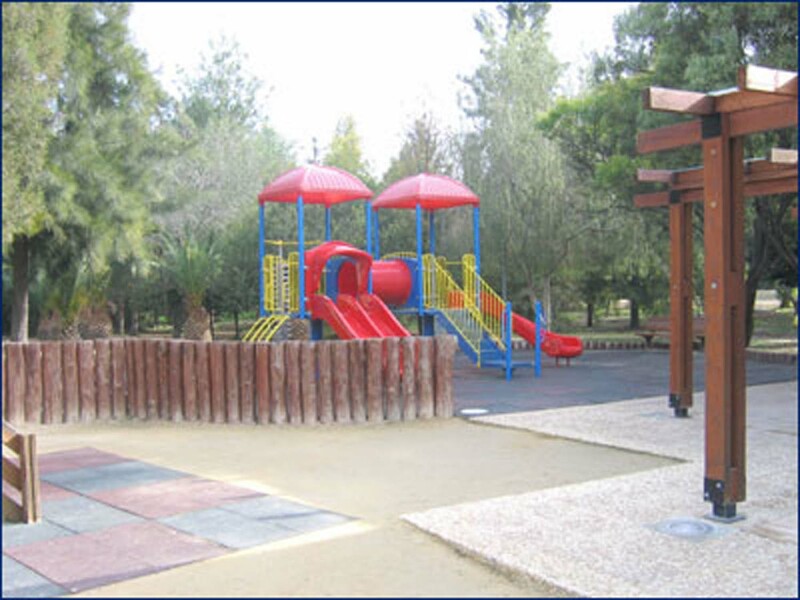 The first park to be created in Strovolos, Takis Zembilas Park, is located at the heart of the Municipality, in the Chryseleousa area, with entrances from Kasou street, Rodou street and Tenedou street. It is medium in size (about 6,000 square metres) but very nice and can be used by all ages. It has a central square with a small amphitheater, a playground, a basketball court, sitting areas, and a kiosk. The cost for its construction was completely covered by the Municipality. The park was named after Takis Zembilas, a former City Council Member, who prepared the plans but passed away before the beginning of the project. 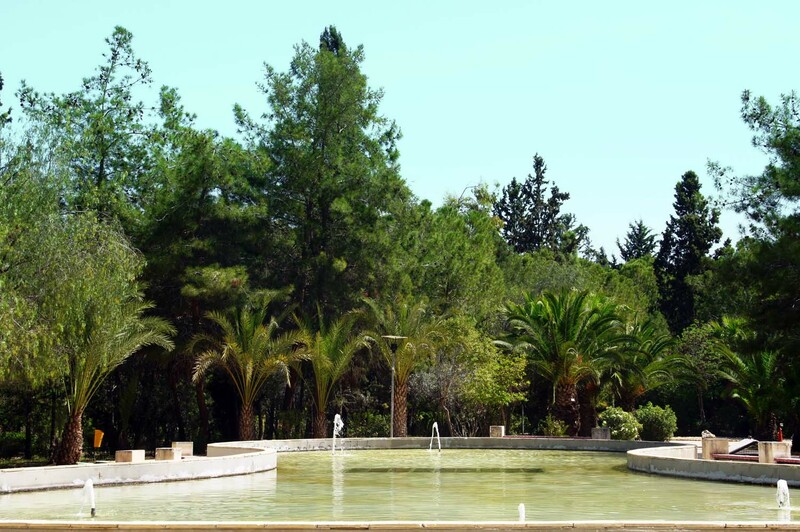 Veroias Park is located in the parish of Ayios Dimitrios beside of Vassilissis Olgas Street. It is a small neighborhood park. It was built by the Environmental Development Department of the Municipality. It has a children’s playground, a small place for sports, sitting areas, a central square and places with grass. 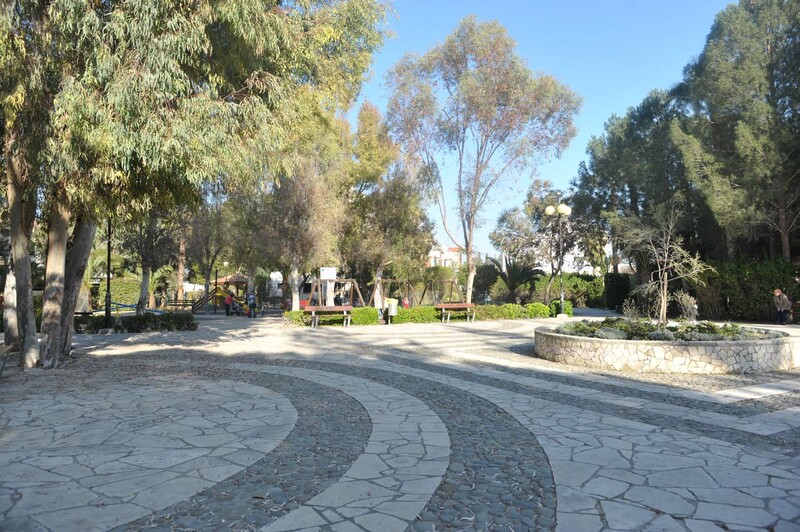 The park was given the name “Veroia”, in honor of the Municipality of Veroia, during its twinning with the Municipality of Strovolos. 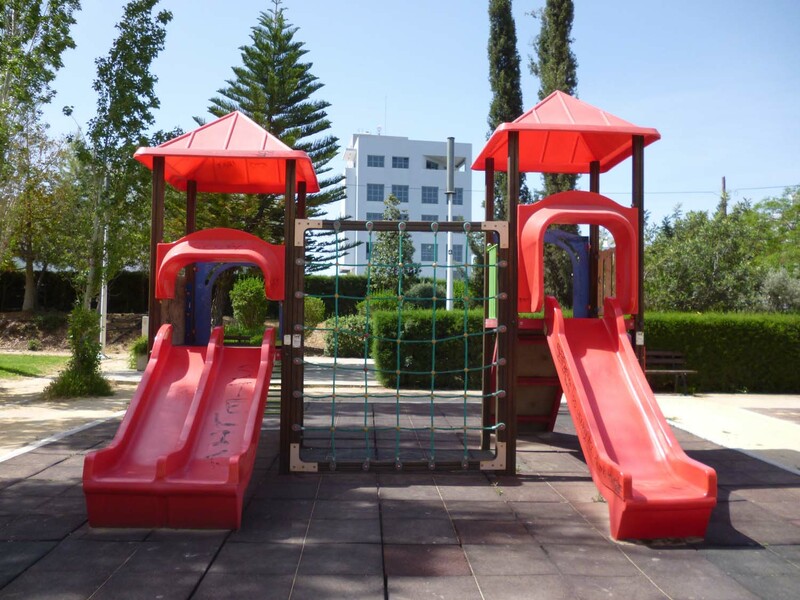 The park is located in the parish of Apostle Varnavas and Agios Makarios beside of Krisou, Kappadokias and Kodrou Streets, in the area of Stavros. It has a children’s playground, pedestrian footpath and seating areas. It is a small and beautiful neighborhood park. 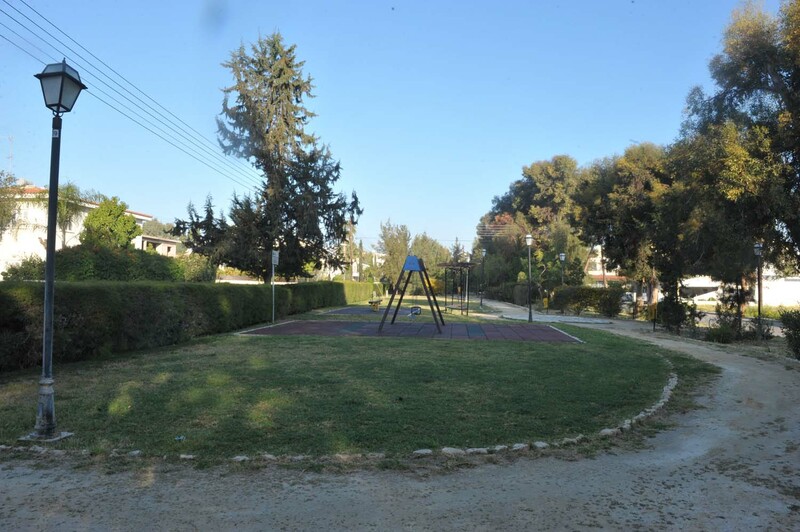 The Parks’ plans were prepared by the Department of Public Works and the implementation of the project was carried out by the Environmental Development Department of the Municipality. 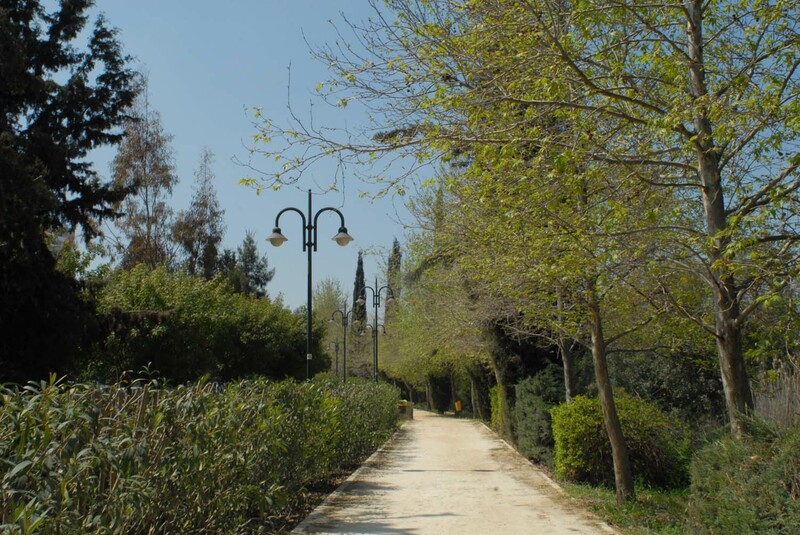 The name of Ialyssos” Park was given as a sign of honor to the Municipality of Ialyssos Rhodes, during its twinning with the Municipality. 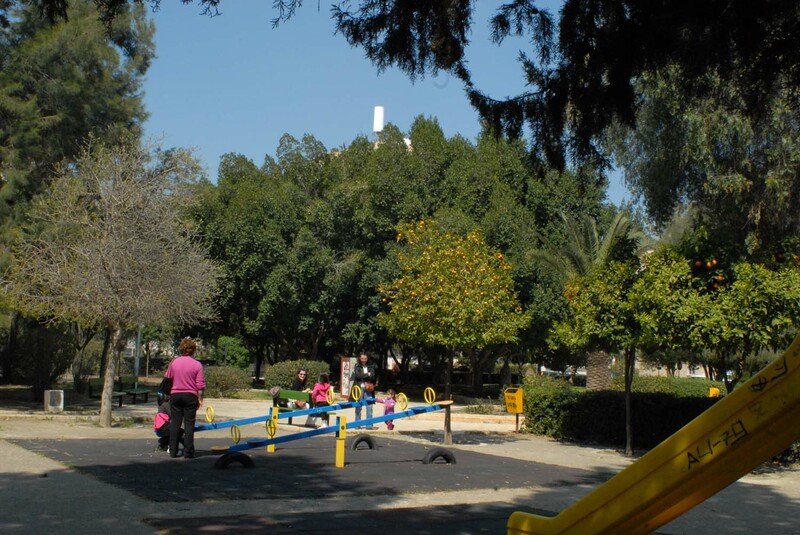 The Park is located in the parish of Apostolos Varnavas and Ayios Makarios beside of Ionas Nikolaos Street. It is excellent for relaxation, entertainment and play. 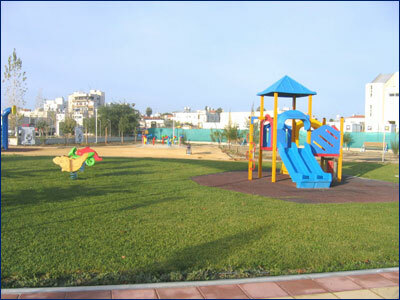 Moreover, the Park has a children’s playground, seating areas, gardens with lawns etc. It has been built entirely at CYTA’s expenses. The children’s playground of the park was upgraded by the Municipality in 2017. 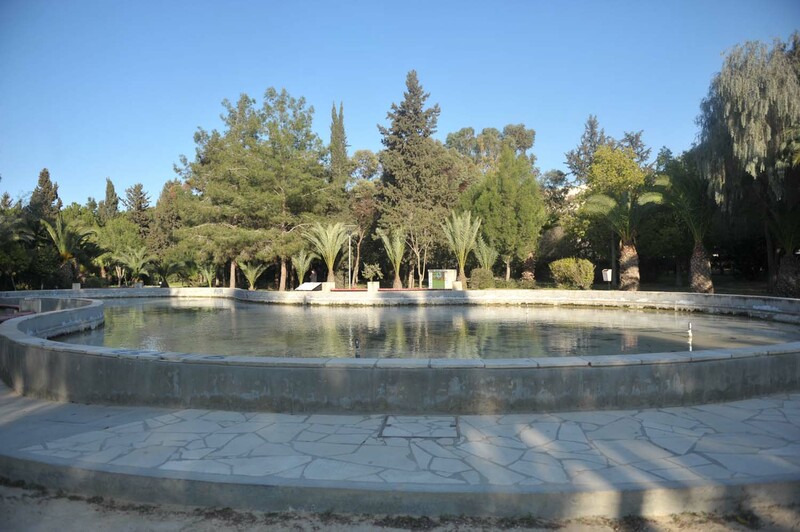 The Park is located in the parish of Apostolos Varnavas and Ayios Makarios beside the street of Georgiou Davari. 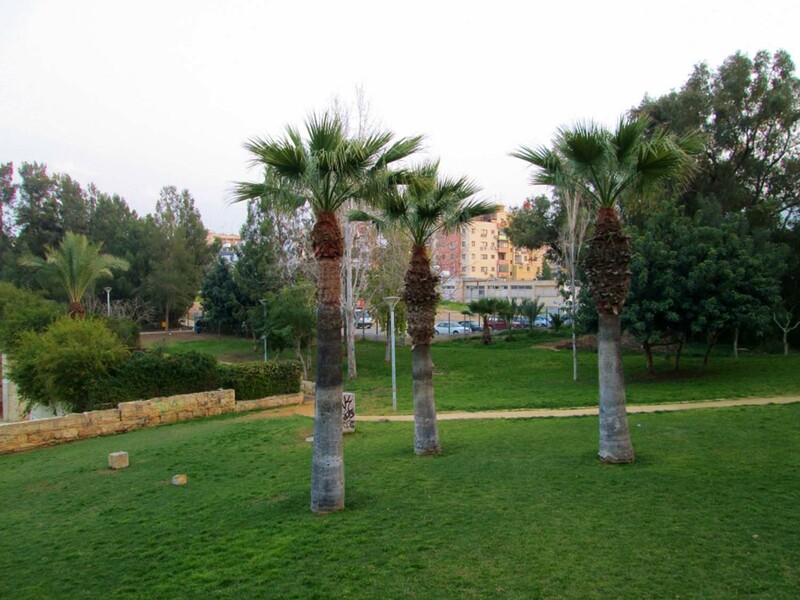 The Park includes a place with grass, various trees with shrubs, paths, seating areas and a children’s playground which was constructed according to European safety standards. 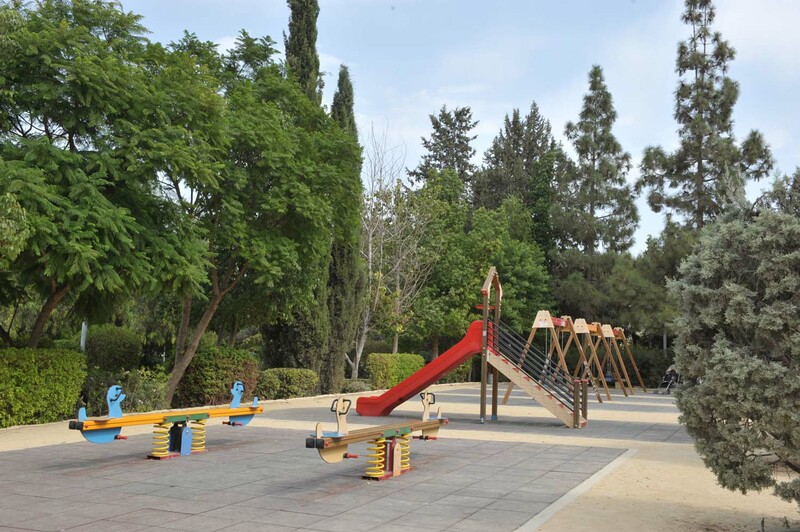 The planting and landscaping of the park, as well as the supply of the entire synthetic floor for the toys and the placement of the toys, was made by the Environmental Development Department of the Municipality. It was built with the sponsorship of Mrs. Anna Christofi, in memory of her parents, Anastasios and Efrosyni. The playground has been donated by A. Papaellinas Ltd, who donated a complex game. 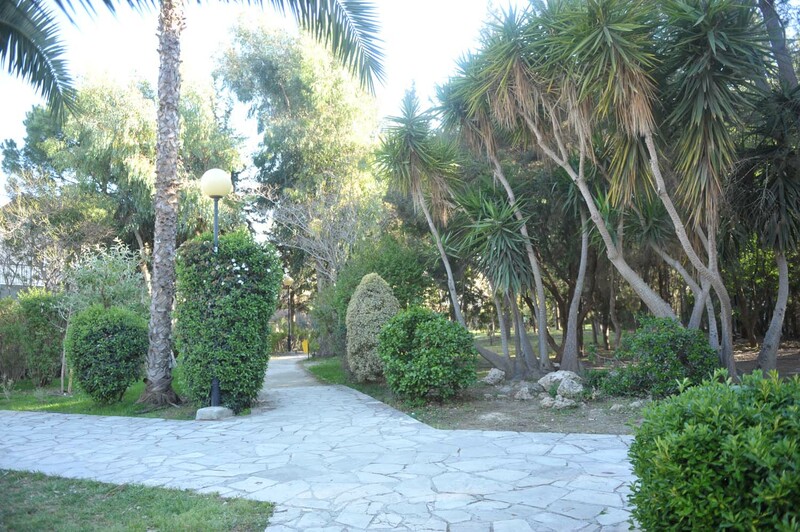 It is a small district park located in the parish of Ayios Vasilios, beside of Thesprotias and Theatiron Streets. It includes pedestrian pathways, sitting areas, and a children’s playground which was constructed according to European standards. The project was completed in 2003. In 2005, a monument was built in the park in honor of the dead and missing people of the Turkish invasion in 1974. 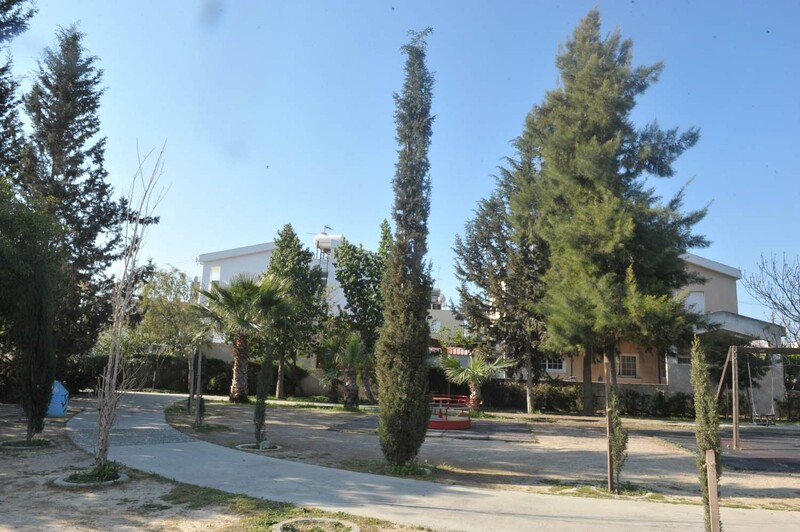 Park beside of Apostolos Loucas church, in the Refugee Area "Kokkines"
It is a small park located in the parish of Ayios Vasilios with gardens and lawns, seating areas and pathways. 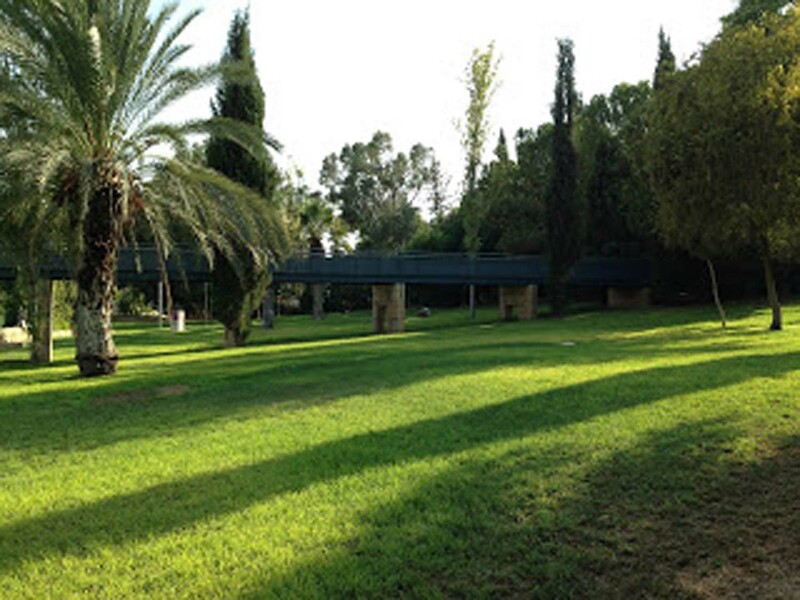 It is a small neighborhood park in the parish of Ayios Vasilios, beside of Apostolou Melachroinou Street. 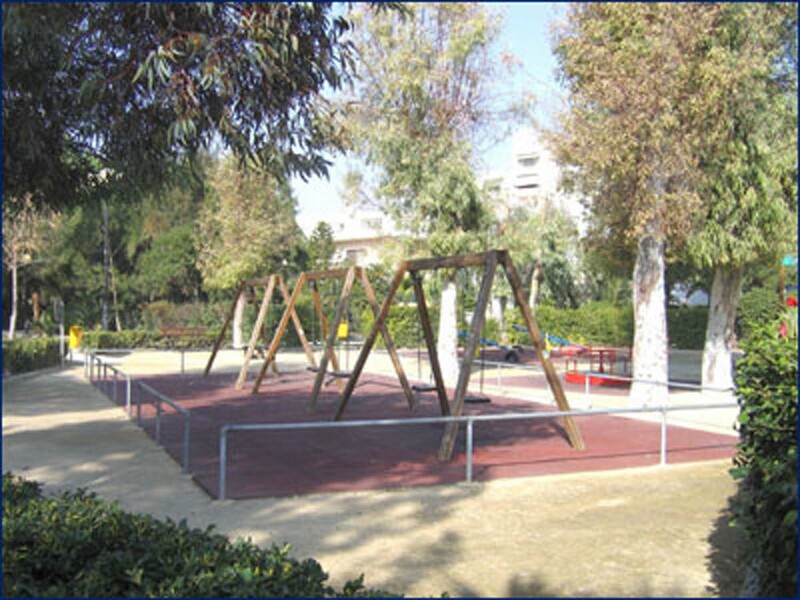 It includes pedestrian pathways, seating areas and a children’s playground according to European safety standards. The project was completed in 2003. 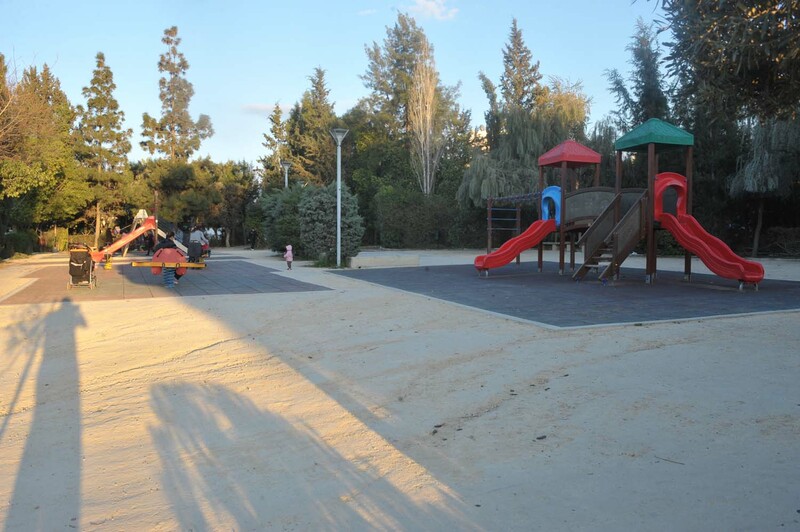 The children’s playground was upgraded in 2016 by the Environmental Development Department of the Municipality. 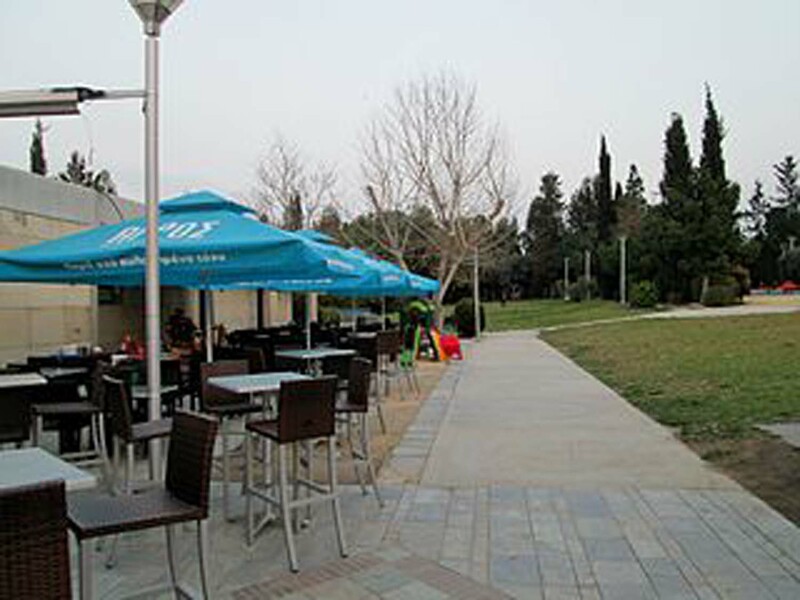 It is a very nice park in the parish of Chryseleousa beside of Ayios Ioannis Chrysostomos Street in Archangelos area. It features pergolas, pedestrian pathways, sitting areas, squares and a playground. It was completed in 2002 and the playground of the park was upgraded in 2007. 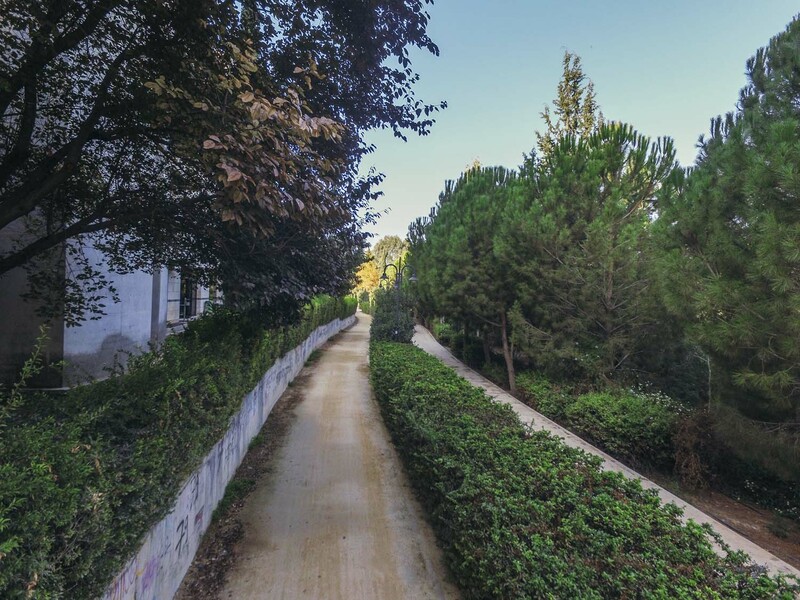 It is a linear pedestrian park of 1800 meters length, along a tree line of eucalyptus, in the Chryseleousa parish beside of the church of Apostolos Markos in Archangelos area. The pathway is lightened and has many seating areas. 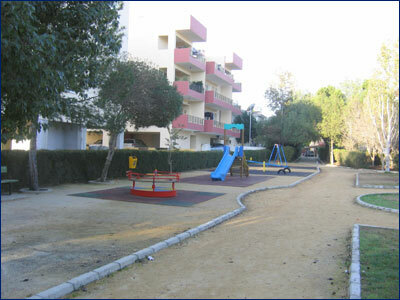 The children’s playground has been named after Tasos Mitsopoulos and there are also games for children with moving problems. 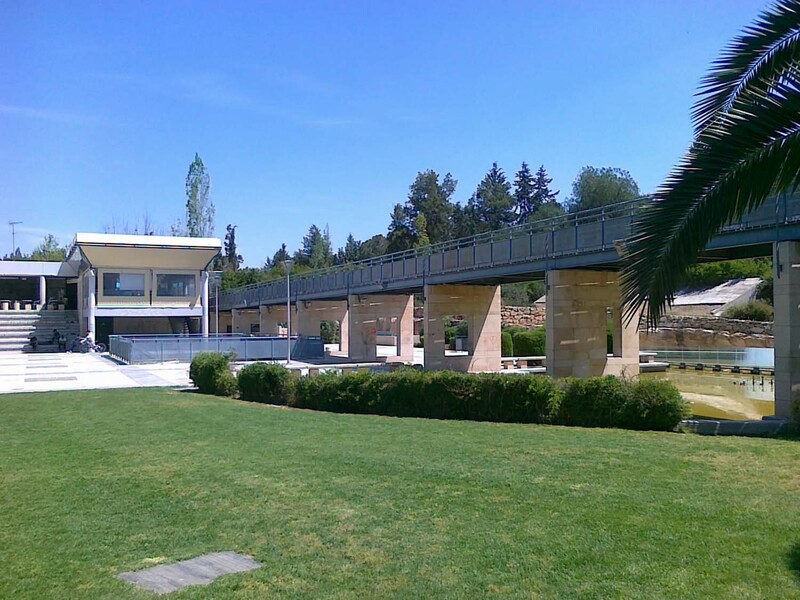 The old stone aqueduct, beside of the Archangelos Technical School, harmoniously joins the park.